Bill has five pennies . He shall make as many triangles as he can to gain more money. For every unique triangle that he creates on a flat table (3 corners at centers of coins) he wins a nickle but for some triangles that dont overlap or intersect with other triangles, he wins a dime. He shall declare the triangles he formed on the table. 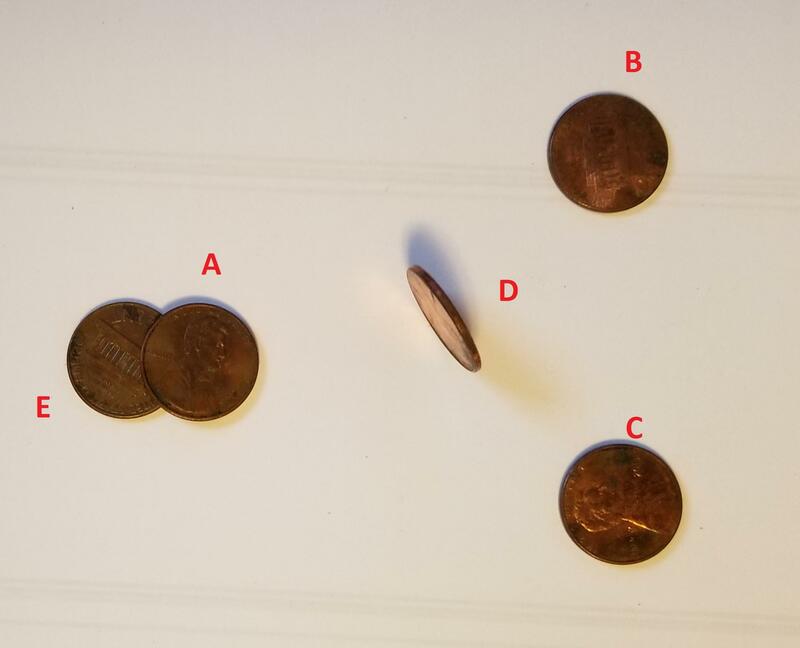 So Bill can name the identical coins A,B,C,D and E. Note U$ penny is 1-cent, nickle is 5-cents and dime is 10-cents. How shall Bill put all his coins on the table for greatest earnings? I appreciate TSLFs careful language. Set 3 pennies flat on the table, and stand 2 pennies on their edges, in such a way that no four pennies are co planar. Now all ten triangles intersect only at endpoints, so $1.00 to Bill. Nice try adding the 5 cents. Note that anyway we put the 5 pennies flat on the flat table as long as there be no 3 centers that are on the same line we can create 10 triangles. When the non intersecting triangles are declared first for dime pays then the others for nickle pays it is just luck that the dime triangles werent forfeited because the nickles triangles overlapped them. 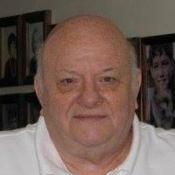 Nevertheless, Bill can take home $ 0.8 ( his pennies included) if he would be contented. 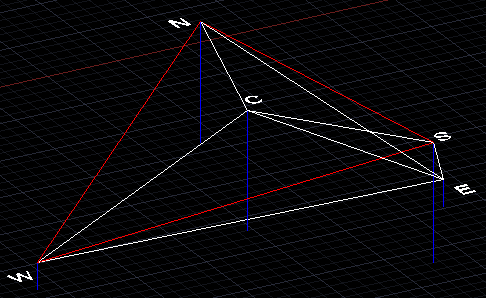 @ CE -Correct 3D.. so how to make the center of the 5th penny inside the tetrahedron formed by other 4 pennies? Place two pennies flat on the table, one of them 5 inches East of the other. Place one penny on its edge on the West penny, on the North side. Place one penny on its edge on the East penny, on the South side. Place one penny on its edge, on the table between the East and West pennies. no 4 coins are co-planar (that was the problem with TSLF’s picture), so all triangles meet only at endpoints. Bill gets to declare all 10 triangles. Your solution is simply right! . 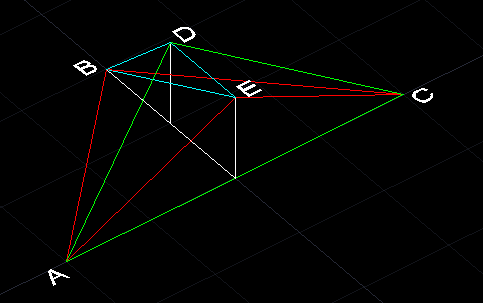 I just realized that in OP .. triangles with 3 centers connected by 3 lines can't intersect lines that way. No 4 co planar center.